Suyuan Yu is Professor of Nuclear Engineering and Science at the Institute of Nuclear and New Energy Technology (INET) at Tsinghua University. He received his Bachelor’s and his Master’s degrees in Fluid Mechanics from Tsinghua University in 1988 and 1989, respectively. From 1989 through 1984, he was employed as a Young Teacher in the Structural Division of INET. In 1988, he received his Ph.D. degree in Mechanical Engineering from the University of California, Davis and then completed a postdoctoral research fellowship in the Department of Chemical Engineering of Yale University from 1998 to 1999. Since 1999, Professor Yu has been at INET. 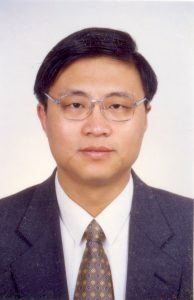 As a Deputy Director, he is in charge of the state 863 key project “The Direct Helium Gas Turbine Cycle for 10MW High Temperature Gas-cooled Test Reactor (HTR-10GT).” His personal research interests include combustion, chemical kinetics, aerosol dynamics, nanoscience, active electrical magnetic bearing and nuclear graphite characteristics and evaluations.